BestCar Corfu Car Rental is a new car hire company in Corfu with highly quality services! Our main purpose is to make your car hire choice a unique experience! BestCar Corfu Car Rental is a new Greek car hire company with head-offices in Corfu. BestCar, offers a variety of vehicles capable of satisfying every car hiring demand. BestCar Corfu Car Rental’s well trained personnel offer high quality services. There are no hidden costs on BestCar car hire prices! Hire a car easy, fast and safe ! Get in contact with us and we will be very pleased to answer all of your questions! BestCar Corfu Car Rental provides a variety of trustworthy rental cars to select the one that suits you best, from small city cars to family cars and luxury cars, ensuring safety and comfort. The best way to tour Corfu is by car. Driving allows you to explore our beautiful island! Think of the perfect city break or your dream holidays and take advantage of our special offers! Please see all BestCar’s Corfu Car Rental special offers. In BestCar Corfu Car Rental, we give you the opportunity to do a reservation request in order to have the best possible car hire service in Corfu! 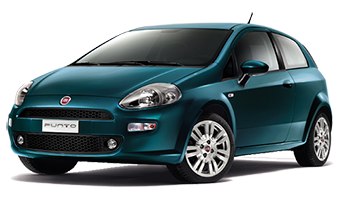 BestCar Corfu Car Rental provides you with the best terms and conditions of its services on the market. Our main purpose is to thank our clients for their preference! BestCar Corfu Car Rental has a top insurance program specially customized for us by a large insurance company that will make you feel safe and protected on your rental experience in Corfu. BestCar Corfu Car Rental, gives you the opportunity for a multiple choice road trip in Corfu island! BestCar provides you with a list of the most visited sightseeings , which are accessible only by car! Hope you enjoy! BestCar Corfu Car Rental employees are always there to help you in everything you need. Please do not hesitate to get in contact with us ! Our main aim is to provide highly quality services in order to make your vacations an unforgettable experience. Hire a car from BestCar Corfu Car rental and the only thing you ‘ll have to worry will be which is going to be your next beach! That’s the reason we give extra training to all of our employees. BestCar Corfu Car Rental is a new car hire company with head offices in Corfu! We guarantee the best car hire service in Corfu, Greece and we promise a unique experience.